Intrex modern labelling systems offers our customers a complete handling and labeling system for bottles, jars and cans etc. There are 3 model variants in the range. 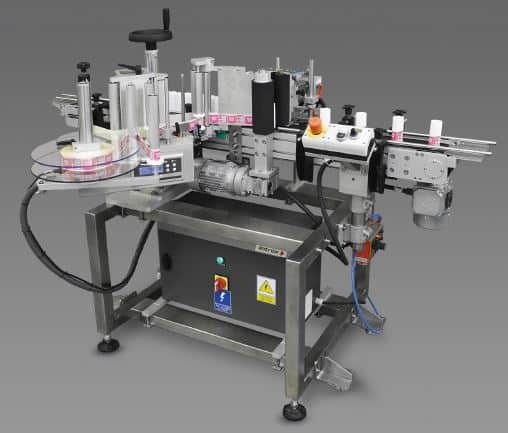 This system is designed to precisely apply partial or wrap-round labels on cylindrical products of any kind: cans, bottles, jars, etc. Automatic machine for labelling on a production line or to apply labels in a separate process. 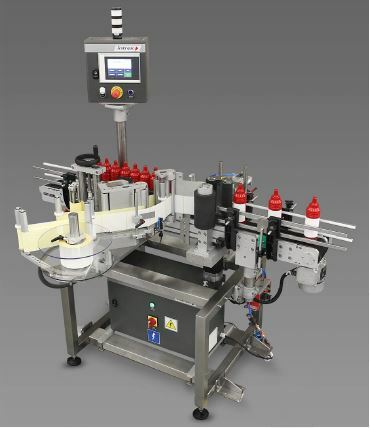 Labelling using 3 roller module designed for high precision label application. Easy replacement of pressing rollers when required to adjust for the product height (e.g. can with a top and bottom flange). This system is designed to precisely apply partial or wrap-round labels on cylindrical products of any kind: cans, bottles, jars, etc. The main factors are rapid machine changeovers and adjustments for different size of products. The modern control system is based on Austrian B&R equipment and our in-house designed software guarantees reliability and is user friendly. The graphical menu offers different access levels: operator, maintenance, service, etc. allowing you to maintain full control and fast modification of operational parameters. This machine can apply promotional labels or labels with additional information (e.g. new language version attached in a given place on the product). 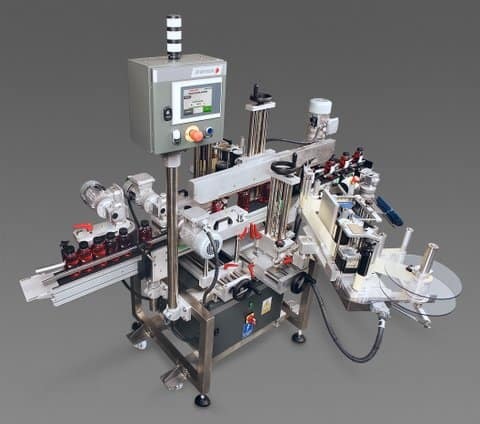 High precision and high capacity labelling system designed for labelling flat products. This design allows to label boxes, bottles with cosmetic products, canisters, etc. The machine is also designed for quick and easy changeovers of packaging types. The modern control system is based on B&R equipment and our in-house designed software guarantees reliability and is user friendly. The graphical menu offers password protected access levels: operator, maintenance, service, etc. allowing you to maintain full control and fast modification of operational parameters.